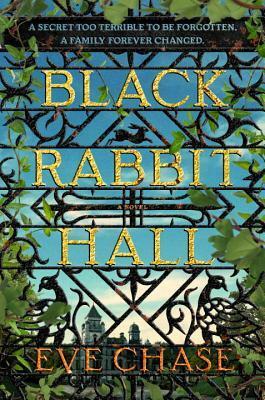 In the late 60s a family spends their summers at Pencraw Hall, which they call Black Rabbit Hall. Amber and her twin brother Toby, and their younger siblings, Kitty and Barney, spend idyllic days here at their country estate until tragedy suddenly strikes the family and everything changes. Decades later, Lorna and Jon visit Pencraw as a potential wedding site. Jon is turned off by the dank, crumbling place but Lorna feels inexplicably drawn to it and convinced she visited the house as a child. The story switches back and forth between Amber and Lorna until they end up coming together at the end. As usual in this kind of story, I was much more interested in the back story than the present one. It's always the source of whatever is happening in the present and I think I just like historical fiction more than contemporary. Lorna's story was an intriguing one, visiting this ramshackle estate in hopes of having her wedding there, though I never quite bought the way she was being so strongly drawn to it. This has worked more for me in other books (I'm thinking especially of Susanna Kearsley's novels) but somehow I just wasn't sold on the mystical powers of this house drawing Lorna to it. It's realistic fiction and I think there'd have to be more than that to get me to suspend my disbelief. There are also a couple of spots where characters have visions or premonitions, but this wasn't really explored and just felt sort of tacked on. This gothic English countryside drama was filled with elements I like. Brooding characters, family secrets, and an overall melancholy feel. Still, it was kind of predictable and reminded me too much of many other books. I also found the back and forth between past and present a bit jarring each time and had to remind myself who everyone was. It was clear that the house was supposed to be a character, yet that didn't really come through for me. (As a somewhat irrelevant aside, the word "judder" was used irritatingly often.) When it all ended and the secrets were revealed it almost felt like a little too much was going on, yet one of my major questions was left unanswered. It's always easier to expound on what you didn't like, isn't it? I don't want to give the impression that I didn't like this novel, only that I didn't like it a lot. There was never a thought of putting it down because I really wanted to learn all the secrets, plus I enjoyed the writing, the feel of the story, and of course the rambling old house in Cornwall. Although it wasn't terribly original, if you haven't read a lot of books along these lines you may like it a lot more than I did. 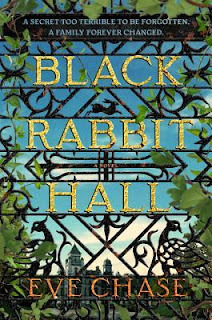 Black Rabbit Hall is expected to be published in February 2016. I received my copy from the Penguin Debut Authors program. I was not compensated for this review.